One of the biggest concerns I hear from people who are considering or just beginning their keto journey is that it will be too hard to get started. Eating a high carb diet allows us to rely more on convenience foods, and although more convenient keto options are becoming increasingly available, I imagine most people find themselves cooking meals at home more often than they did before making the move to a keto diet. Even as someone who has always enjoyed cooking, over my nearly three years of keto living I have found a handful of kitchen tools that I would really struggle to cope without, so I compiled those into a list to hopefully provide a little guidance. Now I know what you’re thinking: Do I really need to weigh everything I eat? The answer is yes and no…but probably yes. While “lazy keto”—where you just count carbs and gloss over the other details—can be effective at the very start of your journey (and when you’re far enough along to have a good feel for serving sizes of your favorite foods), most people will see optimal results from tracking their food/carb intake as accurately as possible. 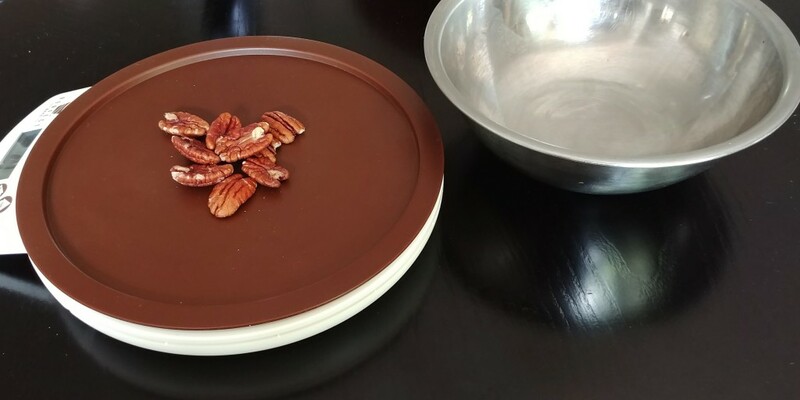 A food scale is the best way to do that, especially when it comes to calorie dense foods (like nuts and cheeses) where relying on estimates can really set back your progress. Investing in a good one isn’t just for the sake of having a good keto tracking tool, though. It’s also one of my most frequently used cooking tools! Volume measurements like cups and tablespoons are fine for many liquid and dry ingredients, but have you ever tried to measure out something like two tablespoons of cream cheese or a cup of peanut butter? Many common keto ingredients like cheese, butter, meats, and veggies are most easily and accurately measured by weight rather than trying to squeeze them into (and then scrape them out of) cups and spoons. This is especially true key for getting consistent results with keto baking. Bonus: It saves on clean up! Just weigh ingredients as you add them to your mixing bowl rather than fiddling with other measuring tools. 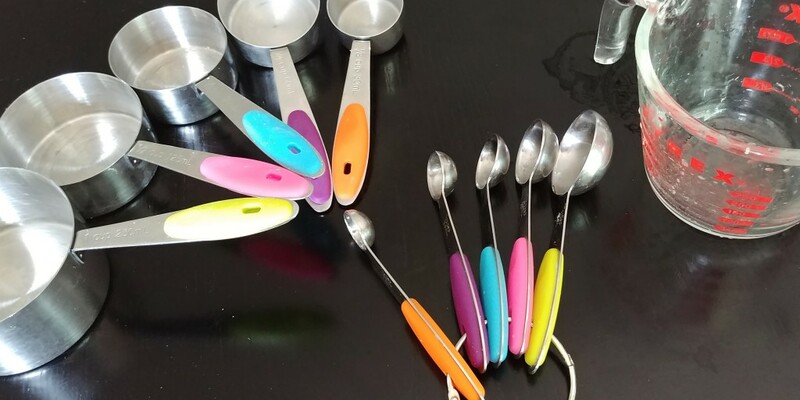 Now with all of that said…a well-stocked keto kitchen should still have some quality measuring cups and spoons on hand. Liquid ingredients are most easily measured by volume, as are low carb flours and other keto recipe staples. 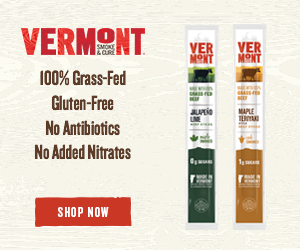 Sweeteners are a particularly important case; many keto-friendly sweetener blends like Lakanto and Swerve are designed to “measure like sugar” despite having different weights per cup. When it comes to which material to choose for the latter two, plastic is less expensive and easier to find in stores, but lately I prefer stainless steel because it is more durable and less likely to retain stains or flavors. Right alongside having a reliable way to measure your food is having a reliable way to prep it. Since us keto-ers rely a lot on fresh foods for meal prep, that usually means doing a decent amount of cutting and chopping. It’s a pretty basic kitchen task, but having a quality cutting board on hand makes it easier and more sanitary. I prefer wooden cutting boards, especially for veggies, because they are less dulling to your knives and will last for years if well cared for. I know some people prefer a dishwasher safe material for handling raw meats though, in which case plastic can be an option. It is dishwasher safe, but harder on your knives and will show signs of wear more quickly. 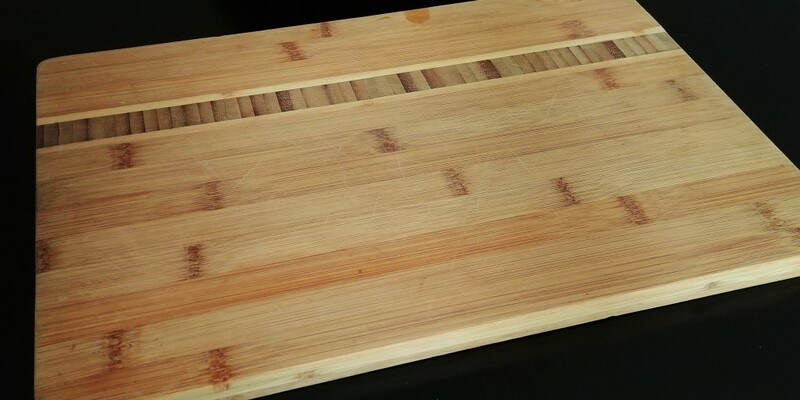 Epicurean cutting boards can be a nice middle ground; easier on knives, dishwasher safe, and bacteria resistant. In any case, I recommend having at least two cutting boards: one for veggies/cooked foods, and a separate one for raw meat to avoid cross contamination. This is another one of my keto prep staples. 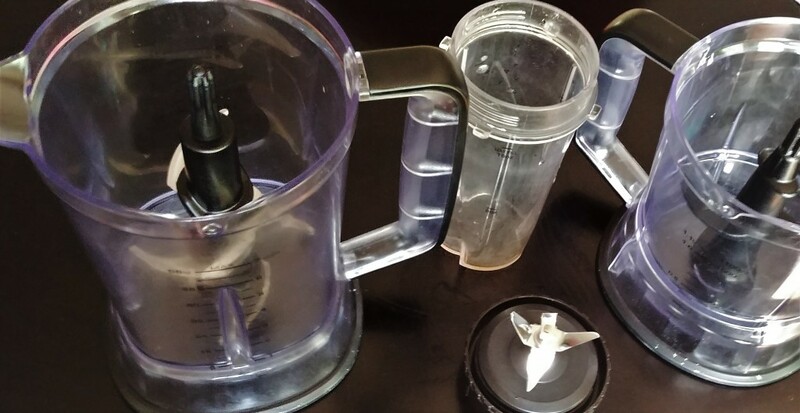 It’s used for all of the things you might expect, like making fresh salsa or tomato sauce, and blending keto drinks, as well as some more surprising things like my keto pancake recipe and making riced or mashed cauliflower. With all the measuring and prep out of the way, it’s time for some cooking action! I use cast iron for a lot of my cooking because I love how well it retains heat! It’s the perfect skillet for many cuts of meat because it sears them beautifully, can safely go from stovetop to oven, and is naturally nonstick when well cared for. But don’t buy into the myth that caring for cast iron is a tedious process; I actually find it easier to clean and store than a good chunk of my other cookware, plus you don’t need to worry about scratching or scraping them. In addition to a standard large cast iron pan (great for steaks, veggies, and even low carb pizza), I have since expanded my collection with a cast iron grill pan and even a mini cast iron skillet that’s great for keto baking. 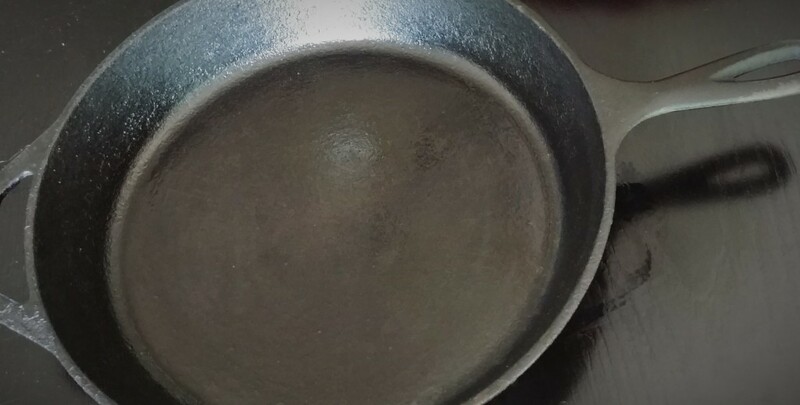 I’m confident that they will last for years, which is more than I can say for all of the Teflon/nonstick coatings I’ve had ruined over the years. Spiralizer: Spiralized veggies make a great, low carb stand in for pasta, and they are super easy to make with a spiralizer on hand. The handheld versions are inexpensive, but take more effort to use and limit the size of the veggies that will fit. Countertop versions take up much more space, but will make much quicker work of even the largest zuchinni. Waffle Iron: Low carb waffles aren’t just good for breakfast! I love my waffle iron not just for making fluffy morning treats but also for an easy way to make single servings of “bread” for sandwiches rather than making a whole loaf. 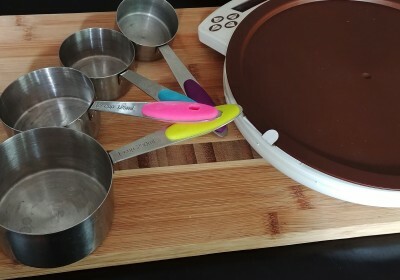 Silicone Baking Mats/Cups: Although parchment paper and paper cupcake liners still get some use in my keto kitchen, the silicone versions offer a greener solution while having the added benefits of being nonstick and heat/freezer safe. Microwave-safe mixing bowls: Many keto doughs and baked goods, especially those that are dairy based, often require some time being heated before they are ready for the oven. Microwave safe mixing bowls will allow you to use fewer total dishes and safe some time by melting ingredients in the microwave rather than on the stovetop. Not to mention the Kohl’s is selling them at a very reasonable price for Black Friday!! I got one recently too, and I would definitely add it to an expanded version of this list!